Is your pool area showing it's age? Are you ready to add some new features? 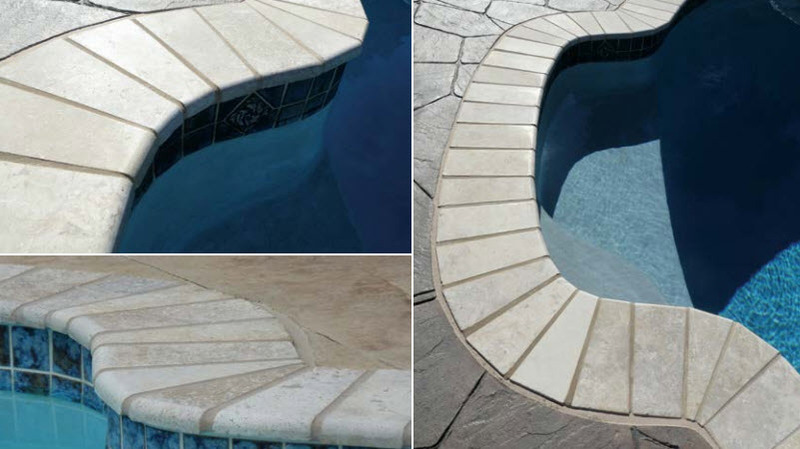 We Make Old Pools Look Like New! Kool Deck: A surface coating over concrete swimming pool decks, walkways, and patios. Applied to freshly poured concrete, Kool Deck creates a colored, textured concrete surface that is as strong as the base concrete. Lower’s the surface temperature of concrete by approximately 20 degrees, more than any other deck material. Stamped concrete: is concrete that is patterned and/or textured or embossed to resemble brick, slate, flagstone, stone, tile, wood, and various other patterns and textures. The ability of stamped concrete to resemble other building materials makes stamped concrete a less expensive alternative to using other materials such as stone, slate or brick. 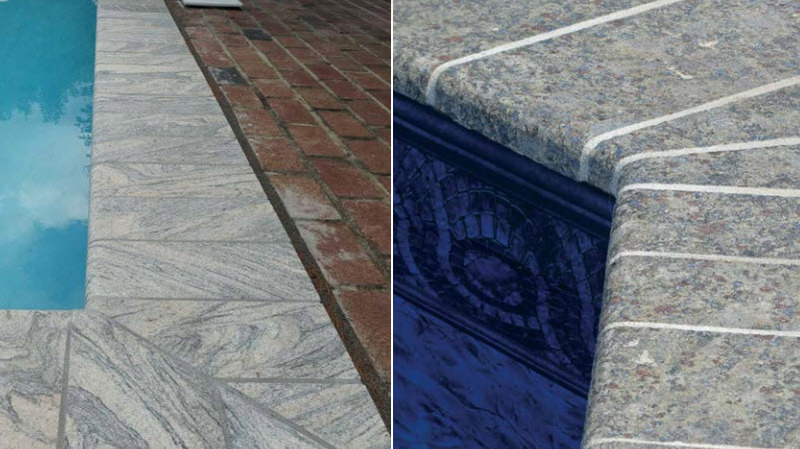 Changes the look and feel of your pool and patio area. Interested in Re-Doing Your Deck or Patio? Ask us about these great product options! Stardust has been building swimming pools since 1961. 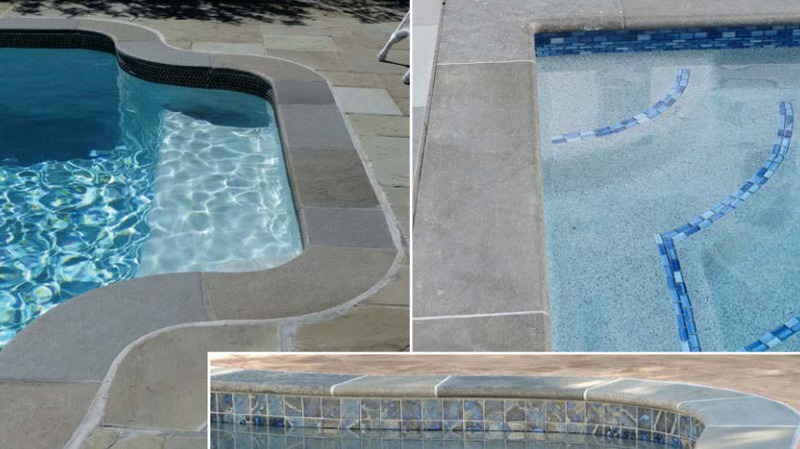 Whether you are looking for a new pool or spa, or need pool repairs or renovation we can help.